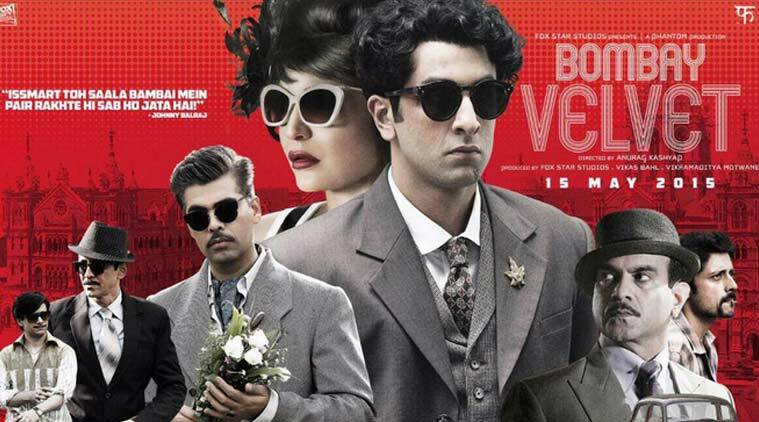 The only thing that made me go and watch Anurag Kashyap’s Bombay Velvet is the curiosity to see Karan Johar acting. Now that I have watched the movie, I still maintain that the only thing that anybody should watch this movie for is to see Karan acting – he definitely acted well, at least way better than my expectations. Ok! On a second thought, to say that there is nothing good about the movie apart from Karan’s acting would be being extremely critical. Let me just say that there are quite a few things in the movie that are really good – the cinematography, the sound effects, the background scores and the music; however these elements at best can only play the role of enhancers in a movie and cannot hold the movie together on their own. Let me draw an analogy here. Make-up can only enhance the beauty of a women and cannot define her as an individual. She can chose to wear very light make-up or no makeup at all and still create a lasting impression with her poise, her unadulterated beauty and her strength of character. Likewise a movie can survive with a bare minimum quality of cinematography, sound effects, back ground scores and music but without strong screenplay and acting and direction it will fall flat. Bombay Velvet’s biggest short coming was its screenplay. The weakness of this single element brought down the charm of the movie even when the other core elements like direction and acting were good enough. If there is anything from this movie that will remain with me for a long time is its music – with each piece that Amit Trivedi composes I become a bigger fan of him. My favorite one from this movie is Naak Pe Gussa. Bombay Velvet gets a 2/5 from me. It’s a movie you will not regret missing. If you are one of those who do not like movies where you have to stress your brain to understand the flow of the story, totally skip this one. Movie Review: Piku - What a Fresh Movie!